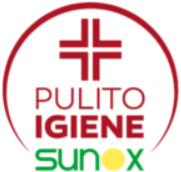 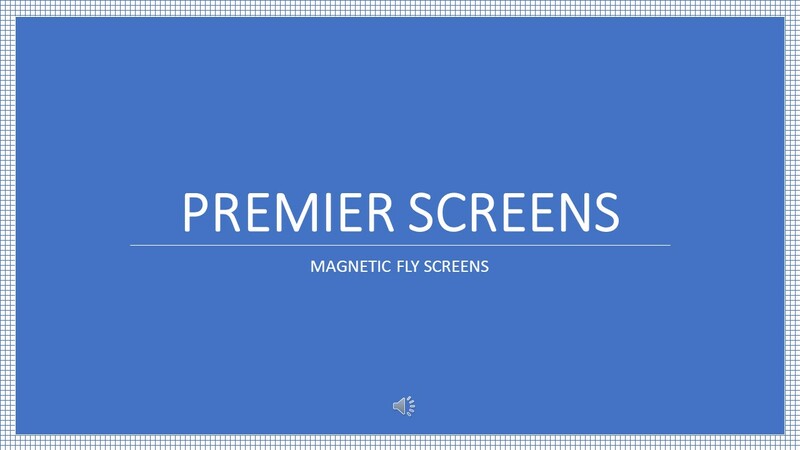 This magnetic fly screen range is unique to our company, designed for ease of use and offering an effective insect screen solution to keep out flies, mosquitoes, midges, wasps and all types of flying and crawling insects. 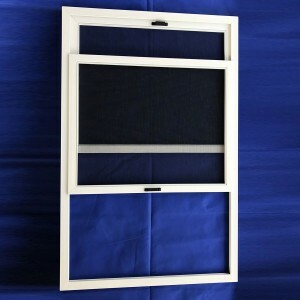 Magnetic fly screens are suitable for commercial and residential use and the insect screens can be installed directly onto the window frame or surrounding walls, inside or outside. 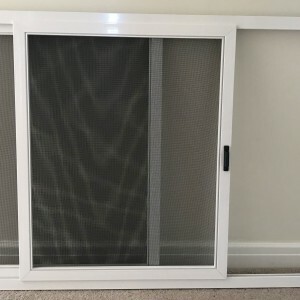 Highly durable and simple to maintain, our magnetic insect screen products are perfect for those hot summer months where a steady flow of cool air is always a welcome addition to any room. 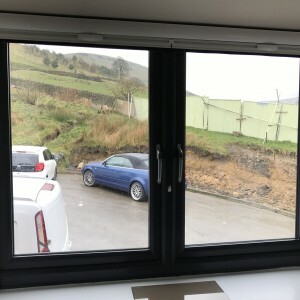 As well as keeping the flies out of your home or place of work, our magnetic insect screens for windows will not block out natural light or obstruct your view. 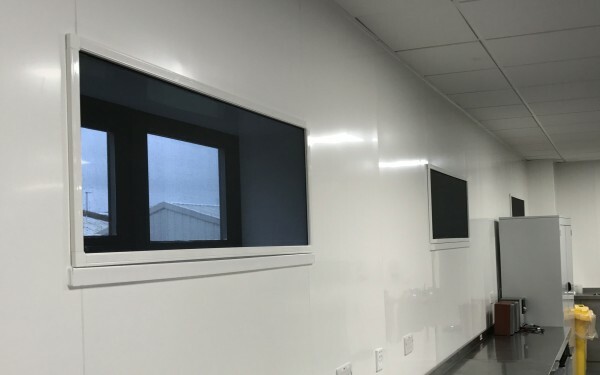 In addition to creating a comfortable living or working environment, our magnetic window fly screen systems are also fully approved by the Food Standards Agency which means they are the ideal choice for food manufacturers, hotel kitchens and busy restaurants. 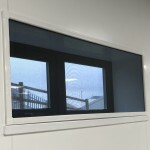 Whether you are looking for a DIY magnetic fly screen kit for the home, or you would you would like a made to measure, professionally installed fly screen system for a business premises, our products will deliver years of exceptional performance without any expensive maintenance or cleaning costs. 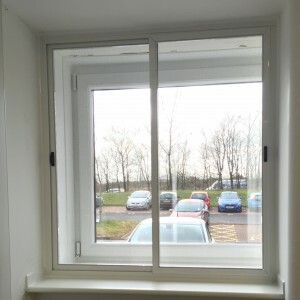 Simply click onto the four corner magnets and the fly screen forms a fully sealed unit to the window frame or wall ensuring that no flies can enter your room. 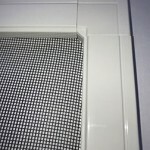 Available in a choice of four colours, we also offer ultra fine mosquito fly mesh and midge fly meshes and our popular pet friendly pet mesh. 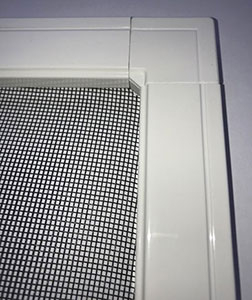 The fly screen frames are manufactured from our 30mm extruded aluminium profile which has a white polyester coating. 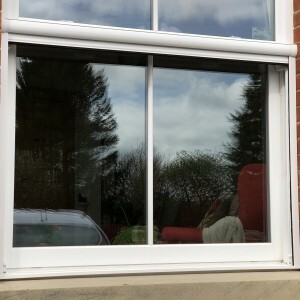 The coating provides strength and durability and enables them to be installed inside or outside, and makes them really easy to keep clean. 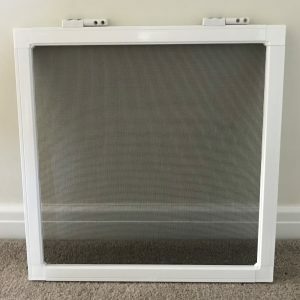 Our DIY magnetic fly screen kits come with all the components necessary to assemble a fully completed fly screen, and we also offer a bespoke manufacturing service with the option to have the frames pre-cut so you don’t have to carry out any sawing, at no extra cost! 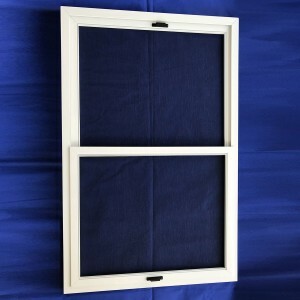 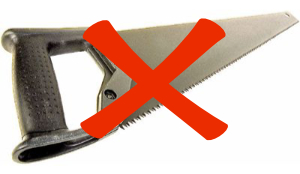 Just input your dimensions, place your order and we will cut the frames ready to slot together! 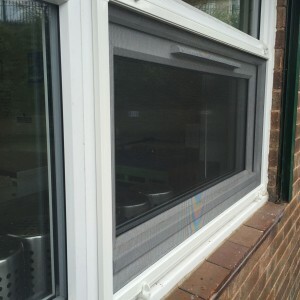 As well as providing superior performance over rival products, our magnetic insect screens are also highly affordable and are exclusively available to UK home owners and commercial clients at trade prices. 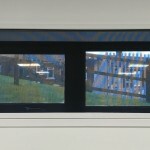 Magnetic fly screen panels are suitable for commercial and residential use, and are easy to install and remove. 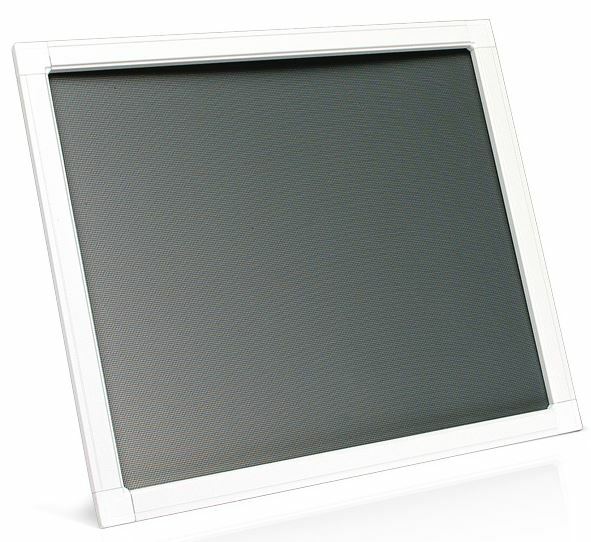 The screen has an aluminium frame and four corner pieces which each have a magnetic plate in their recess. 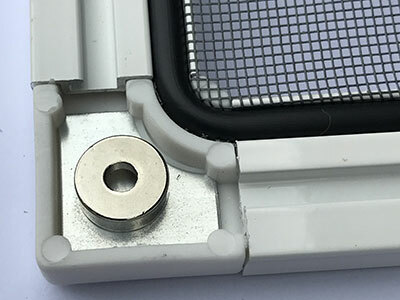 These magnetic plates secure the frame to the corresponding magnets which are placed onto the window frame. 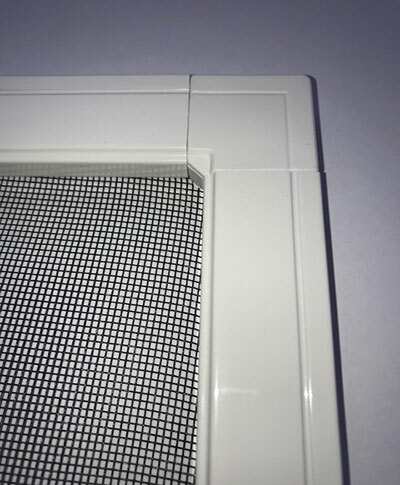 Insect Mesh is secured into the frame by pushing a rubber gasket into the groove on the rear of the frame, this creates a tight seal which holds the mesh in place and helps to seal against the window frame when it is in position. 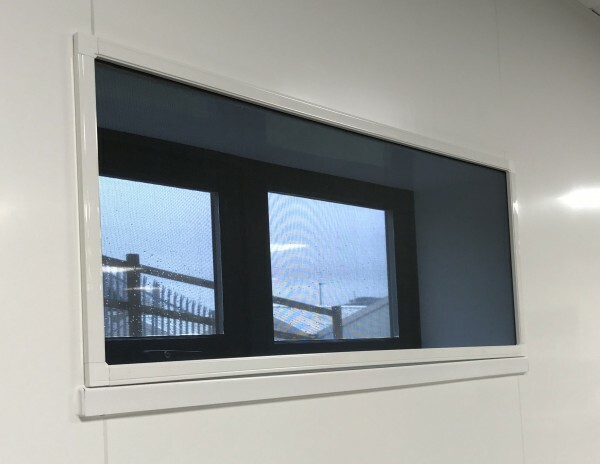 The magnetic fly screen frame is extruded 30mm aluminium with a 2mm wall, finished in a scratch resistant polyester coating which makes it easy to clean, especially important in commercial situations. 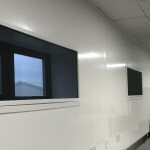 The screens are available as self assembly kits or ready assembled and the kits can be ordered to your bespoke dimensions so you have no cutting to carry out.